The competing technologies on the RF market will be briefly described. The given key figures are oriented to production processes and are no records that are in principle feasible in the technology. The MESFET (fig. 2a) still is the working horse GaAs technology. It is mostly based on ion implantation into semi insulating substrates. This is the least expensive process concerning raw material cost, since no epitaxial layers are required. The technologies on the market are processed with gate length from 0.8μm down to 0.25μm. fT values in the range of 25GHz are available in production dependent on the gate length used. FETs can easily achieve noise figures below 1 dB in the 1-2GHz frequency range. The power performance reaches into the 10W class in x-band range for phased array radar applications. Most of the devices are depletion mode type that require negative voltages to control the gate.Enhancement mode with shallow channel need single polarity supply only. The HEMT (fig. 2b) technology in principle is similar to the MESFET structure. 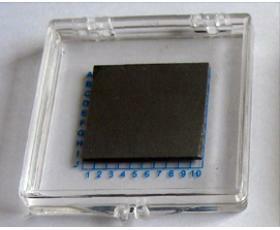 In this case epitaxial wafer provide the active layers. They incorporate single or double heterostructure transitions that deliver the high electron mobility in the 2 DEG. The EPI is mostly grown by MBE, but MOCVD is also used in some fabs. 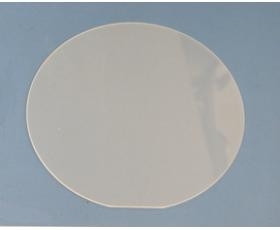 This EPI wafer requirement increases the substrate costs significantly. The gate length down to 0.12μm is required for fT up to 100GHz. For applications in the mobile communication market the gate length is enlarged to 0.5μm in some cases. This simplifies the technology and optimize the yield, but fT is still up to 30-40GHz by far sufficient for the 1-2 GHz range. The HEMT delivers the lowest noise figure of the RF technologies together with a high gain performance. This high gain in some cases is a disadvantage for problem free volume applications in low frequency range, because of the strong oscillation potential. The HBT (fig. 2c) is a modified bipolar transistor. The emitter and base layers are formed with different band gap material. The emitter having the wider band gap, thus the emitter delivers a barrier against the hole injection into the base. In this way the main deficiencies of a standard homojunction bipolar are overcome. Due to the required EPI layer in this case mostly MOCVD, but MBE is also used, the raw material cost is higher compared to MESFET. The HBT can be operated as a bipolar transistor from a single supply. The min feature size for GaAs based HBTs are about 2μm-emitter width, thus being relaxed to MESFET and HEMT technologies. fT in the range of 30-60GHz is reached in production. The HBT delivers an excellent RF power density due to its vertical current flow. However, this is realized on the bad thermal behavior of the GaAs substrate and causes a lot of effort to be overcome. The very good phase noise known from the conventional Si bipolar makes the GaAs HBT an excellent device for oscillator applications. The advanced performance silicon bipolar processes (fig. 2d) with the fT up to 25GHz are processed on refined high performance IC technology lines. 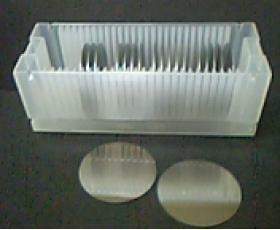 Standard feature sizes of 0.4μm emitter width in double poly self aligned technique, side wall spacer technique, buried layers, selective implanted collector are build into these highly sophisticated devices. Even more advanced technologies with further shrinked emitter widths are available with fT up to 45GHz (B6HFE). One of the biggest advantages of the Si processes is the potential to use the high integration capability of Si. Not only in highly integrated bipolar only circuits, but also the combination with CMOS technology (BiCMOS fig. 2f). The SiGe HBT (fig. 2e) is a further improvement of the Si advanced bipolar process. The base layer is replaced by a hetero SiGe layer. In the B7HF process the minimum feature size is 0.25μm and the AlSiCu metallizations are replaced by 4 layer copper metallizations. The process has an fT of 75GHz and is fully compatible to standard CMOS. The other processes for low noise applications show fT in production from 60 to 70GHz. To serve also power applications higher breakdown voltages are required. The base layers together with the min feature sizes have to be enlarged. This reduces the performances drastically; e.g. the fT goes down to about 30GHz. The general bipolar advantage of low phase noise is valid for the SiGe HBT also. The performances of the technologies are compared in table 1. Here the weakness and strength of the techniques are shown. The potential markets for the technologies are summarized in table 2. The low noise performances necessary for most of the applications in the frequency range below 2 GHz can be met by both GaAs and Si. A great deal of the low noise receiver applications will be covered by the Si technologies. They will include because of the integration capability also further functions. Special applications, however, like super linear mixer with high input IP3 will still be the domain of GaAs devices. Power applications either in the 1W linear or compressed power >2W will be the domain of GaAs. But it is not the domain of a single process alone, all 3 technologies will be on the market. There will be further criteria that will decide between the technologies like: exact fit of device performance DC and RF, idle current level for linear systems, total external device count, package size, negative voltage generation on or off chip and last but not least total function cost on the PCB board. The low voltage trend in the mobile communication down to the 1 battery cell cellular phone may favor the HEMT technology at present, because of the higher gain and better PAE. But special implantation schemes for the MESFET (DIOM LVM process) will also give this most cost effective technology a market here. The Si techniques have a clear disadvantage for power applications. The devices on the market generate the power levels on larger chip sizes and therefore also large packages. For 0.5W DECT, IS900MHz or IS2.4GHz applications there is the strongest competition between GaAs and Si. 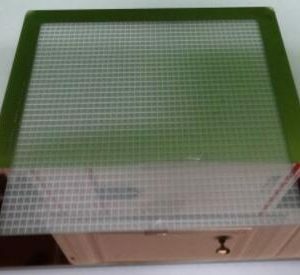 Here the former Si devices were delivered in large packages like SSOP28, but now with reduced chip sizes also TSSOP10 packaged devices are available. The competing GaAs MESFET deliver this in an SOT23 package (CGY195, CGY196). The 2W GSM GaAs MESFET PA’s are also delivered in an SCT595 package (factor 4 smaller compared to TSSOP16). But at the end the customer needs decide what fits into his applications. In the higher frequency range power applications like the military S-,C- and X-band phased array radars the MESFET and the HEMT will compete. For frequencies in the MMW range for Short Distance Radio, SATCOM and Car Distance Radar applications the HEMT will clearly dominate with the broadband MMICs, e.g. LNA, driver and PA and VCOs. As a feature of the s.i. substrate material it is a general strength of the GaAs technologies to integrate RF functions into the MMICs in lumped elements, stripline or coplanar design. This makes them the primary source for integrated multifunction RF devices in the microwave area. The Si technologies have the advantage of the integration of analog bipolar functions with the VLSI CMOS world. This gives the opportunity to integrate D/A converters and mixed signal applications. In general, the situation visible today will not change with about 15 to 20% of all RF applications covered by GaAs. No fundamental change can be expected as far as applications are dominated by wireless systems up to 3.5 GHz; i.e. 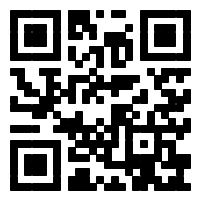 cellular and cordless phones, WLAN, WLL, GPS etc. In simple words, Si dominates the receiver market up to 2 GHz, whereas GaAs is the preferred material for PA’s above 0.5W output due to better PAE at low supply voltages. 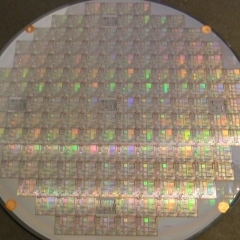 From cost point of view, the process cost of a 4” GaAs MESFET wafer is comparable to that of a 6” Si Bipolar wafer. This is somewhat compensated as a result of the better integration ability of GaAs, i.e. die cost should be considered instead of area cost. Finally the user should know that normally the die contributes only about 1/3 to the total device cost and that smaller dies can result in lower assembly cost. –SiGe will result in only minor improvements concerning the known cellular and cordless phone systems, i.e. will not substitute any Si Bipolar circuit due to higher cost. A key question is whether the material benefits justify the realization of 1-chip UMTS transceivers. Moreover, the main potential is for receivers at higher frequencies (2- 20GHz). –GaAs HEMT technology is the best MMW material up to 100GHz. It combines the advantages of unipolar transistors with outstanding performance down to 1.5V supply, but with a factor 2 higher wafer cost compared to GaAs MESFET. –The GaAs HBT process is a candidate of a single supply voltage. Disadvantage to GaAs MESFET and HEMT are reduced shrink potential due to thermal problems, reduced linearity of bipolar transistors and cost levels compared to HEMT. 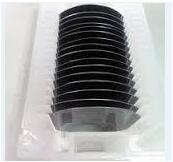 If you need more information about GaAs MESFET, HEMT and HBT Competition with Advanced Si RF Technologies,please visit our website:https://www.powerwaywafer.com, send us email at sales@powerwaywafer.com or powerwaymaterial@gmail.com.